The volcano in Bali, Mount Agung, known as a climbing spot for tourists in Bali, is now on alert status. Due to increased tectonic activity increases. Even small earthquakes continue to happen lately. Will the Mountain be going to erupt right now? - Mount Agung Bali current activities seem to be erupting. 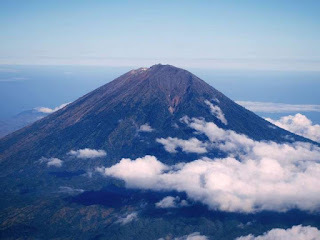 According to the Center for Volcanology and Geological Hazard Mitigation (PVMBG), Geological Agency of the Ministry of Energy and Natural Resources, the agency said that it has raised the status of Gunung Agung in Bali from normal to alert (level II). This is based on the increased activity of the volcano in Bali. Starting from Thursday, September 14, 2017, 2 pm Bali time, the status of the volcano was raised after a month ago there was an increase in seismic activity. Formerly rare earthquake activity. But since last month, there has been a significant increase. Continuous improvement and steady increase. The ongoing earthquake activity has recently changed the status of the volcano in Bali. 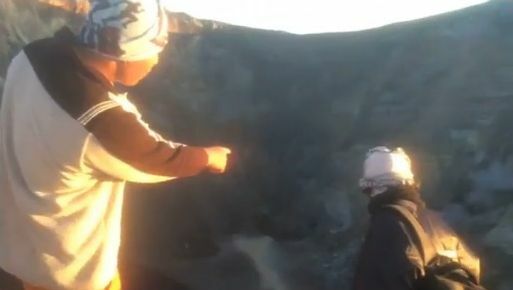 Currently based on an institution that monitors akfitas Gunung Agung Bali has recommended the imposition of a ban near the crater of the mountain up to a radius of 3 kilometers. The goal is to anticipate that no one climbs to the top of the mountain because kegempaannya activity is rather high. It is feared there is a volcanic gas blast from inside the crater that is dangerous for climbers. Although the status of Mount Agung has become alert, but the area around the mountain was declared still safe. At the bottom of the mountain is still declared safe, only on the top is dangerous. If there is an increase in activity, the agency will have an evaluation. The observation of increased volcanic activity will depend on the incoming data from the monitoring of the mountain. Based on the record of PVMBG, the activity of Gunung Agung has been increasing since July 2017. The shallow and deep volcanic earthquakes have increased and the solfatara (sulfur oxide) has emerged. Mount Agung erupted recorded four times since 1800, namely in 1808, 1821, 1843, and 1963. The last eruption occurred since February 18, 1963 until January 27, 1964. The eruption is magmatis. The eruption of the mountain in 1963 resulted in 1,148 people dying and another 296 wounded.